Who needs a celebrity bank balance to look like one? Not us thanks to the wonderful high street. 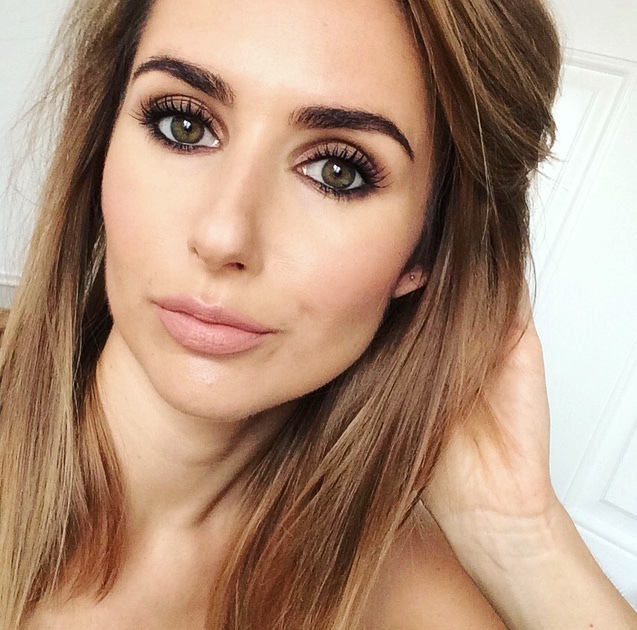 I've tried and tested some of the best budget beauty buys and they're all under a tenner! Best Concealer under a tenner full stop! A fantastic all rounder - covers spots and dark circles, it's creamy, quick and easy to use and lasts all day. Wouldn't mind some more shades, but at this price, I aint moaning. A holy grailer for me! I can't get enough of this liner. I use Brun & Caramel - the brown is the best brown I've found (better than MAC Coffee) and the Caramel shade is a gorgeous golden highlighter/smudger with a hint of shimmer. Not always easy to find, I live in fear that Bourjois might discontinue them - don't do it! Full review and pics here. Just squeezing in with a penny to spare. The ultimate contour kit - contour powder, highlighter and a bronzer/blush for under a tenner! Full review here. Now this stuff is down right amazing. Long lasting, vibrant, super pigmented, cream/gel eyeshadows - think MAC paint pots but a whole lot cheaper. I have on and on bronze, metallic pomegranate and barely branded. Wear alone or use at a base to build colour. Review here. Long gone are the days I spend twenty quid on a lip gloss. A pop of colour, weighless, moisturising, smooth and non-sticky. Bellini is my current poison. I've said it before and I'll say it again, you can't go wrong with a Maybelline mascara. I've tried most of them over the years - Falsies, Colossal, Mega Plush, Rocket - they've all got it going on. The Ultimate cream highlighter - better than Benefit High Beam in my humble opinion. Use as a primer, mix with foundation or dab where ever you want to Glow! The closest match I ever found to my beloved MAC Blushcreme (not cremeblend). They go on creamy, stay creamy and are available in a plethora of shades. Review and swatches here. Lipstick, lipbalm hybrids - feel like a balm, look like a lipstick and available in over 20 shades. Strawberry shortcake and Creme Brulee are my personal faves. If only Sam and Nic had dreamed these wonderful brushes up sooner - woulda saved me a whole lotta money! I could have happily featured any of their high quality, low cost make up tools, but the blush brush is my most used. Hand crafted with baby soft bristles for the perfect finish every time. Oddly I find it a little too big for blush application, I mainly use mine for bronzing and all over blending. Time to share the love. 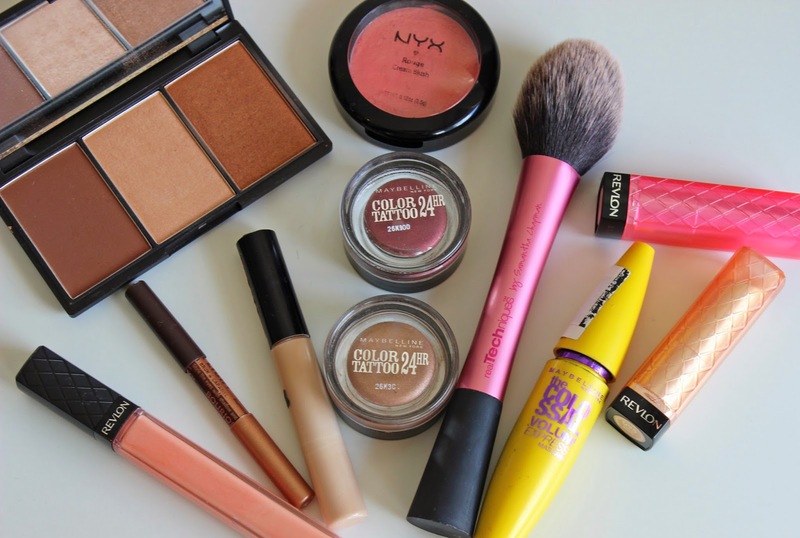 What are your best budget beauty buys? Lovely picks! I love the seventeen highlighter, I just bought the new L'oreal mono eyeshadows - they're amazing! I adore some of the products you mentioned like the Colour Tattoos :) I wish we had access to Sleek and Seventeen here because I'm dying to try out some of the raved about products. Ooh the Sleek face form looks fabulous! I love all the products you picked!! I totally feel the same about spending £20 on lipgloss when the Revlon ones amazing! I have a few in the shorter tubes can't remember what they are called, but they are super moisturizing on my lips and stays put for ages!